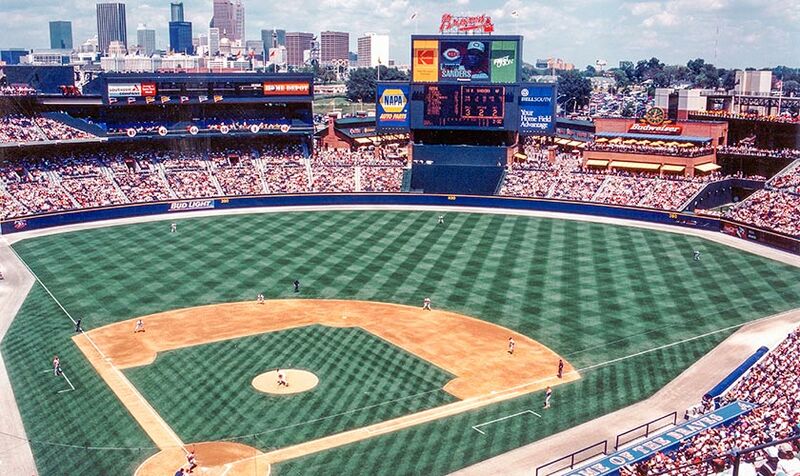 Turner Field is the Home of the Atlanta Braves baseball team. 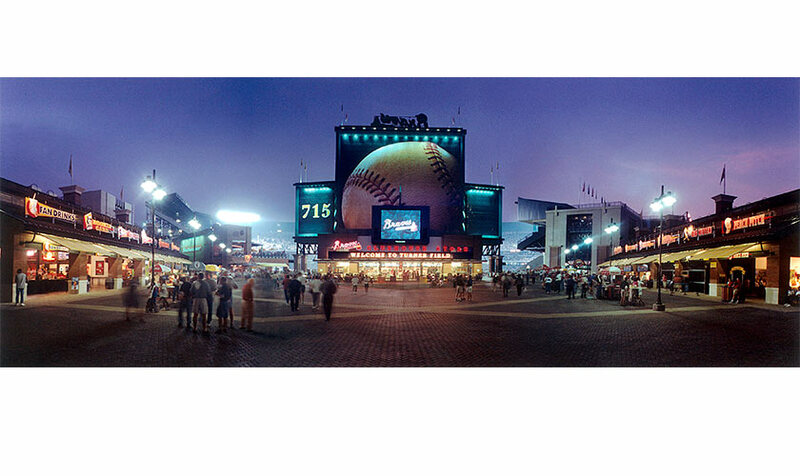 DAIQ Architects designed a number of public spaces as part of converting Atlanta’s Olympic Stadium into Turner Field. Braves Plaza is framed by two retail / concession pavilions, a number of interactive entertainment venues and the Turner Store and Amphitheater. 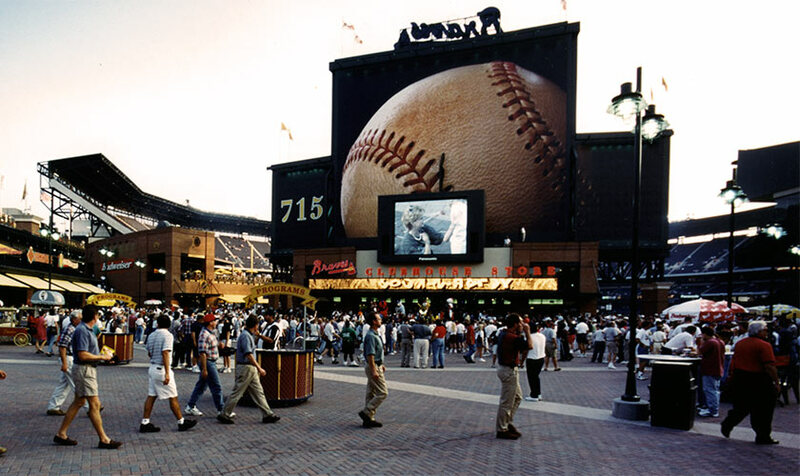 The 100 foot tall image of the Hall of Fame baseball hit by Hank Aaron to break Babe Ruth’s all-time home run record was conceived and developed by D’AIQ as a signature of the ballpark. 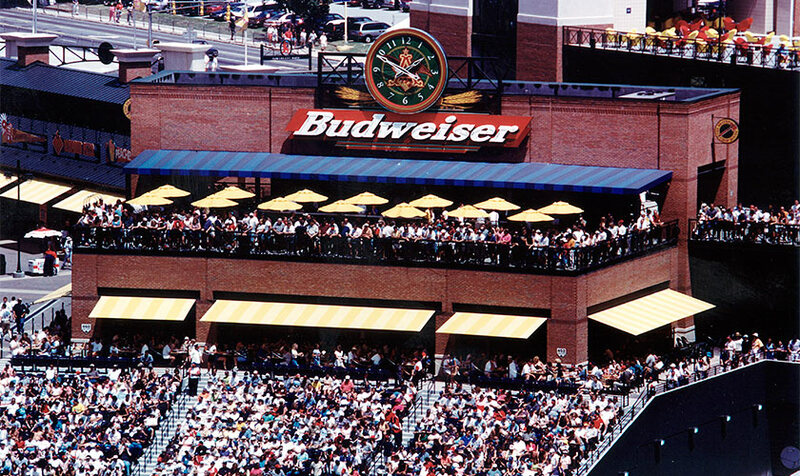 D’AIQ also designed the 15,000 sf Chop House, a casual restaurant and bar overlooking the bullpens and center field. Terrace seating at picnic tables provides a unique ball-game experience for fans. Turner Beach is a special party lounge area featuring palm trees, cabana bar, food concessions and picnic tables.